The 2nd Street District consists of six downtown blocks, mostly owned by the City, fronting West 2nd Street. 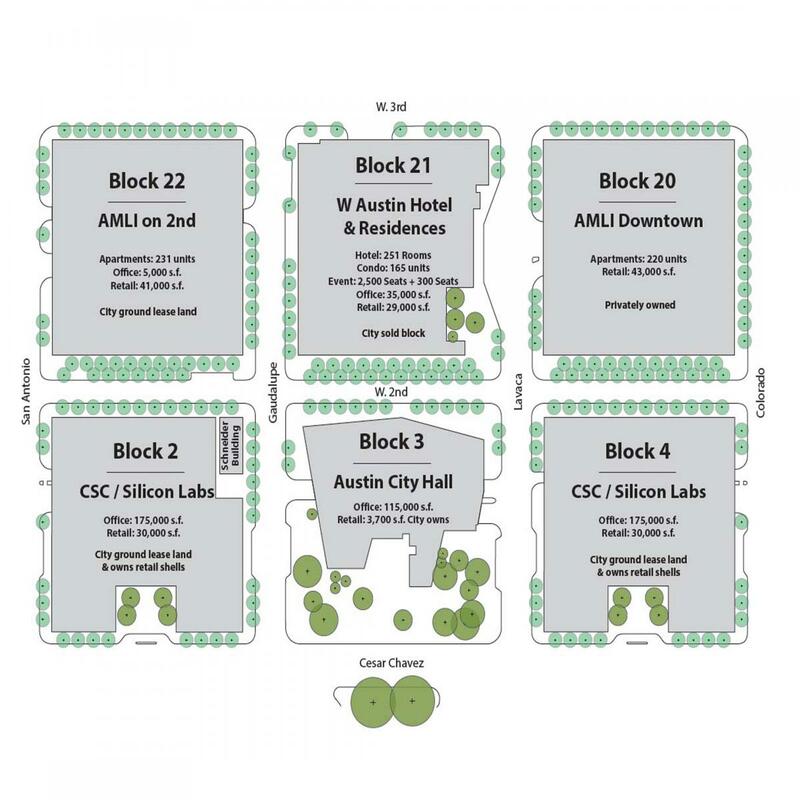 The City developed the District from 2000 to 2012 through a series of public-private partnerships with the intent to bring a dense, walkable urban experience to downtown Austin. By 2017, the District hosted more than: 600 residences, 250 hotel rooms, 3,000 jobs and 175,000 square feet of retail space. With the essential support of community leaders and private partners, the 2nd Street District has surpassed expectations for a world-class destination to live, work, shop and dine and continues to be a catalyst for Austin’s downtown. CLICK HERE for a map of the 2nd Street District. All eligible District buildings are certified as Austin Energy Green Building (AEGB) or Leadership in Energy and Environmental Design (LEED). This includes: 4-star AEGB for W Residences and AMLI on 2nd; LEED Gold for Austin City Hall; and LEED Silver for W Hotel. For details about the 2nd Steet District see http://www.2ndstreetdistrict.com/.